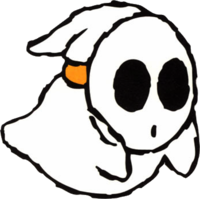 Boo Guys are ghostly-looking Shy Guys that first appeared in Super Mario World 2: Yoshi's Island. They are white and have a wispy tail similar to other Boos. As such, Boo Guys hover rather than walk. As with Shy Guys, Boo Guys wear masks, move slowly, and can be stomped or swallowed by a Yoshi, providing Yoshi Eggs. They can also spawn from Warp Pipes, similarly to Shy Guys. 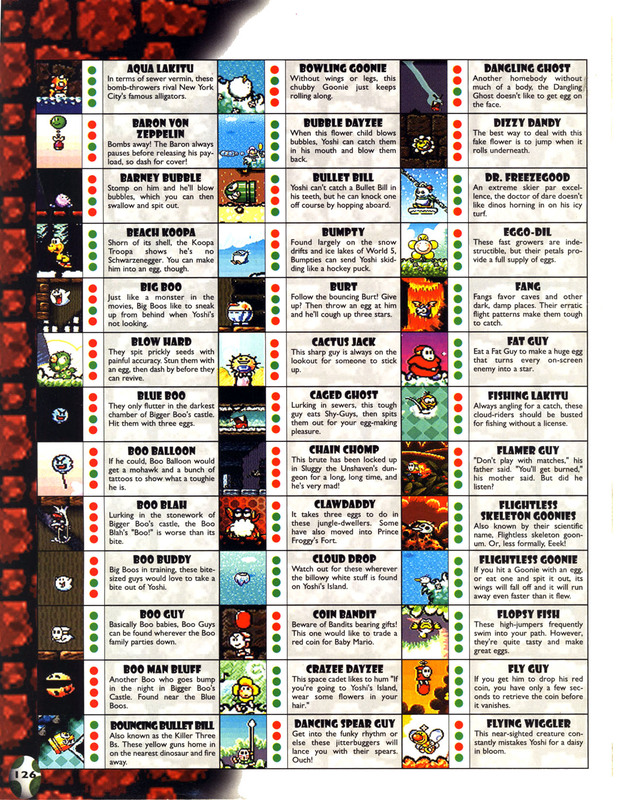 Boo Guys first appear in Super Mario World 2: Yoshi's Island, first occurring in Bigger Boo's Fort, either found wandering on the path or spawning from Warp Pipes. They can follow the Yoshi for short distances. If the Yoshi collides with one, he drops Baby Mario. To defeat a Boo Guy, the Yoshi can stomp on it or swallow it to make eggs. If the Boo Guy is simply spat out, it will roll on the ground and destroy any enemies in its path, then die if it collides with a wall. In the background of some levels, particularly fort and castle levels, there are harmful traps that are handled by Boo Guys. The Boo Guys themselves are isolated within confined spaces in walls and are therefore inaccessible. Boo Guys that handle a mace (Tekkyū Dosun) will drop it on the ground periodically. Once the mace hits the ground, the Boo Guy then takes time to lift it to perform its attack again. Other Boo Guys push a wheel in groups to operate a long, revolving spiked ball. Sometimes, Boo Guys are stationed in long rows in the ceilings and pass bombs from one to another, dropping them on Yoshi when he is underneath (Relay Heihō). 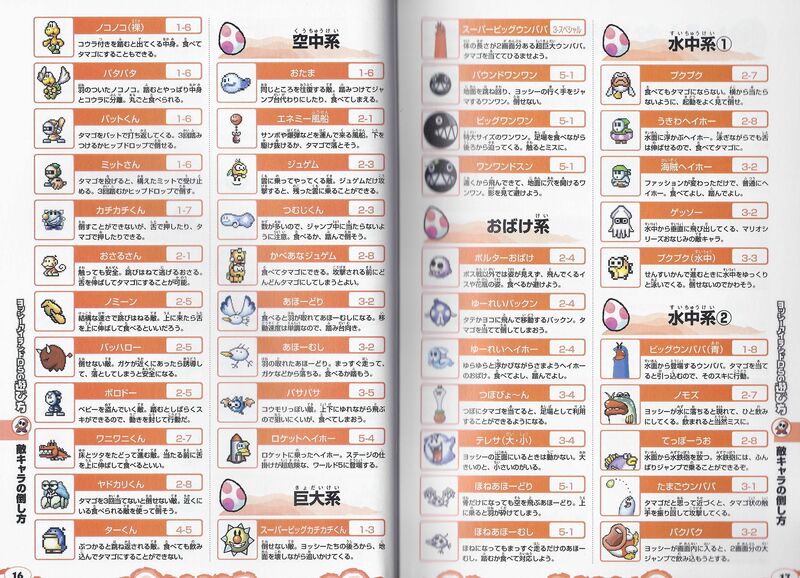 Boo Guys reappear in Yoshi's Island DS. Boo Guys remain unchanged, although they are not seen operating machinery nor are they seen relaying bombs. 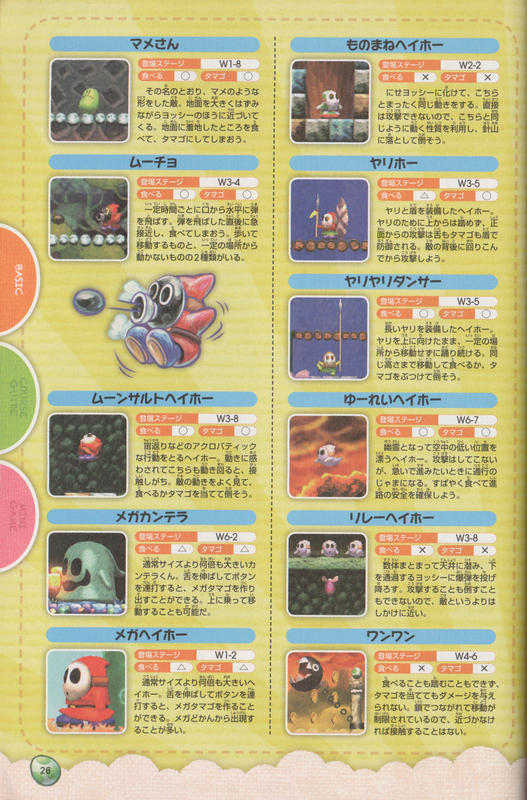 Boo Guys return in Yoshi's New Island, where they have multiple roles as in their original appearance. Boo Guys that operate traps are seen early in the game and mostly appear in fort and castle-based courses. However, individual Boo Guys that act as enemies only appear in the level Crumble Rock Rumble. Both forms of Boo Guys in Spooky Scraps! Don't Get Spooked!. Boo Guys return in Yoshi's Woolly World and Poochy & Yoshi's Woolly World and can be eaten by Yoshi, forming a white Yarn Ball. In the level Spooky Scraps! Don't Get Spooked!, Boo Guys turn into an evil shadow when behind the hanging paper, which means they can chase Yoshi and cannot be eaten. Boo Guys appear in Mario & Luigi: Partners in Time. They are found in Toadwood Forest. They attack by rolling into Mario or Luigi. Before they attack, however, they split into two transparent copies: one real, one fake. Only the real Boo Guy can harm Mario or Luigi. The Boo Guy points to the Mario brother prior to attacking. Ghoul Guys, stronger and faster versions of the Boo Guys, appear in Shroob Castle. 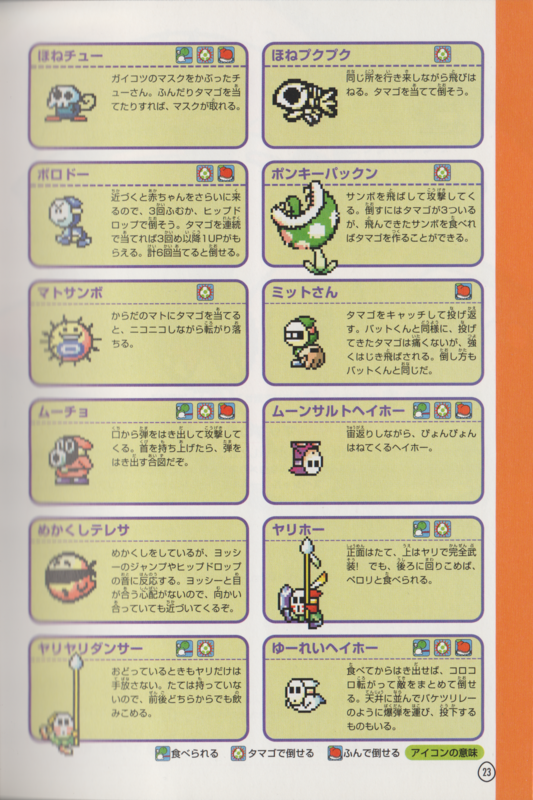 The Super Mario World 2: Yoshi's Island Player's Guide describes these enemies as "basically Boo babies", whereas some Japanese guides instead call them Shy Guy ghosts. This page was last edited on March 24, 2019, at 02:18.